The Cubanimals by Moebelebt look like something out of a cartoon. There’s such fun and movement in the design of each piece of bedroom furniture, you couldn’t be faulted for wondering if the bedside table was going to walk away. Designed in Switzerland by Jorge Alvarez and made by hand, Moebelebt furniture is colourful, full of personality and gives a contemporary nod to mid-century modern style. 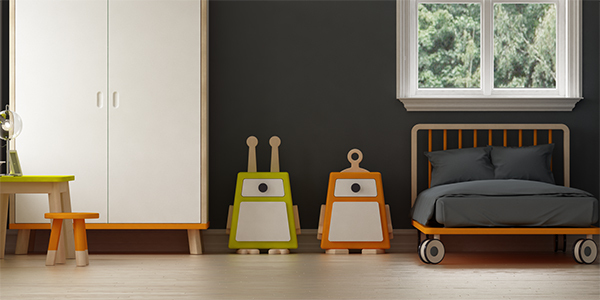 Bedside tables are the most interesting pieces, and they’re customisable. One table can have angel wings and its pair, devil horns. A blue and white table can sport wooden bunny ears and different sized drawer pull eyes to give a look that’s a little crazy. There are beds on oversized castors, paint-dipped stools and tables, big roomy wardrobes with plenty of drawers and spots to hang clothes. 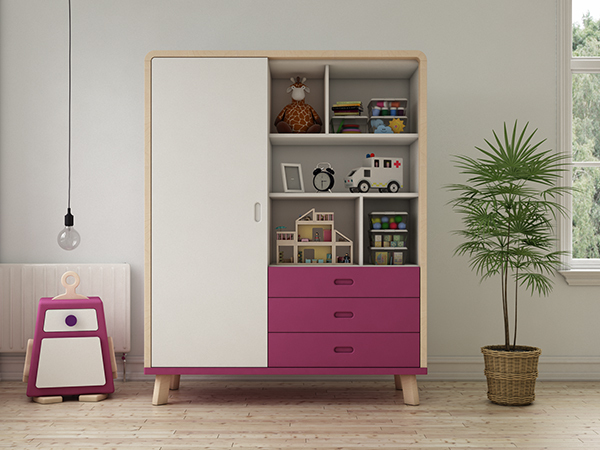 The furniture pieces are customisable, so if you need a half bookshelf, half wardrobe hybrid, Moebelebt can do that. Moebelebt is available in Australia on Love the Style. Nightstands are $550 – $640. 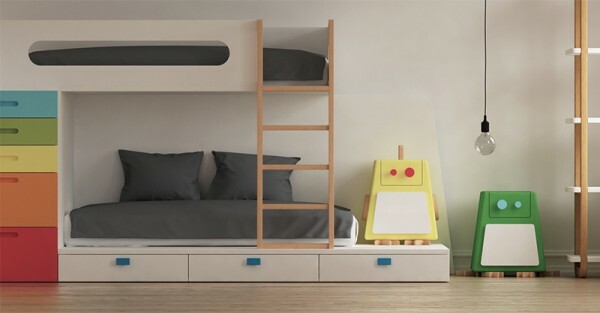 Items like the beds, bunk beds, wardrobes and chairs will be added to the website soon, and cost just under $200 for a stool to $2200 for the bunkbeds or the wardrobe.